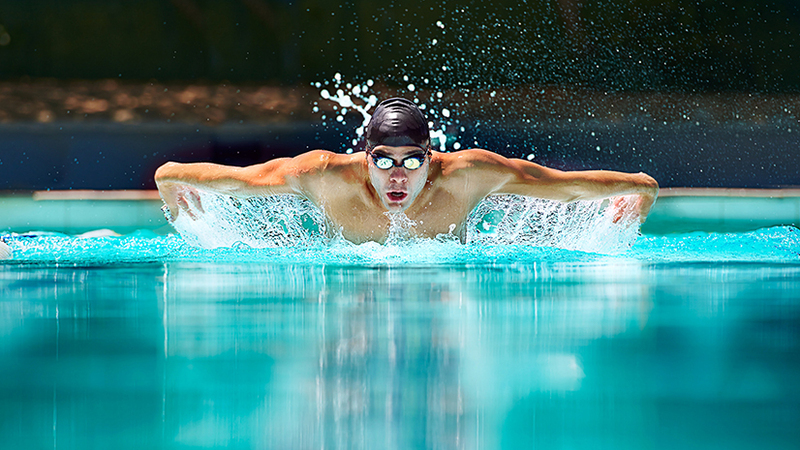 Find out why chlorine is used in swimming pools. Chlorine is a yellow-green gas. At high concentrations, chlorine gas is poisonous. At lower concentrations, chlorine is used in cleaning products. In its isolated form, chlorine is a yellow-green gas. At high concentrations, chlorine gas is poisonous, burning the eyes and throat and attacking the respiratory system. It was used as a weapon during World War I, causing death by suffocation.